Tiny houses are beautiful and manageable if planned well. Truly, planning is the most important phase for a house built in limited space. And kitchen being the heart of any house, might require a lot more attention and detail. L-shaped kitchens fit well in the tiniest of places and look very contemporary. An L-shaped kitchen is tucked in a corner with two shelves at right angles to each other; with a hob on one shelf and sink fitted on the other. The general design of the L shaped kitchen easily puts the traditional working triangle in place. Though there are novel alternatives to the working triangle, yet most people still vouch by it. Without a doubt, it makes the movement between sink, hob and fridge easy which makes the cooking efficient. You can choose to have an extended shelf and club it with chairs to create a seating space in the open L shaped kitchen. It also creates an extra counter space to cook. These kitchens are often a great option for the open plan layout as the two sides of the kitchen are free. If there is space, you can opt for an island which can be used for storage and seating with chairs or ottoman. The open kitchens look bigger and airy. These kitchens make sure that you do not miss out on the fun of the living room while you are cooking. 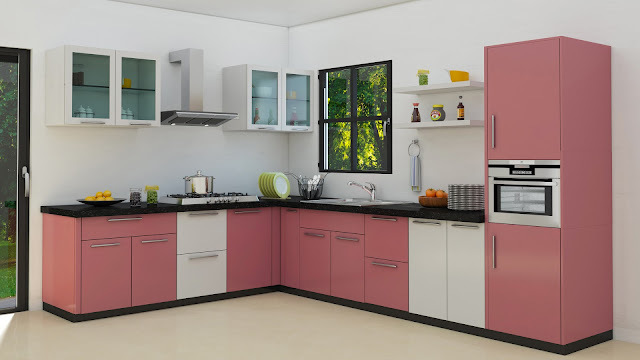 Small kitchens often become too cluttered; thereby cutting on the counter space. It is a major put off for cooking. If you do not plan your L-shaped kitchens well, you might struggle for the storage space and counter space. It is best to have enough wall cabinets to cater to your storage needs. Using the corner for storage is also a good idea. A corner base unit is good for storing big containers that you won’t be taking out very often but they occupy good amount of space. 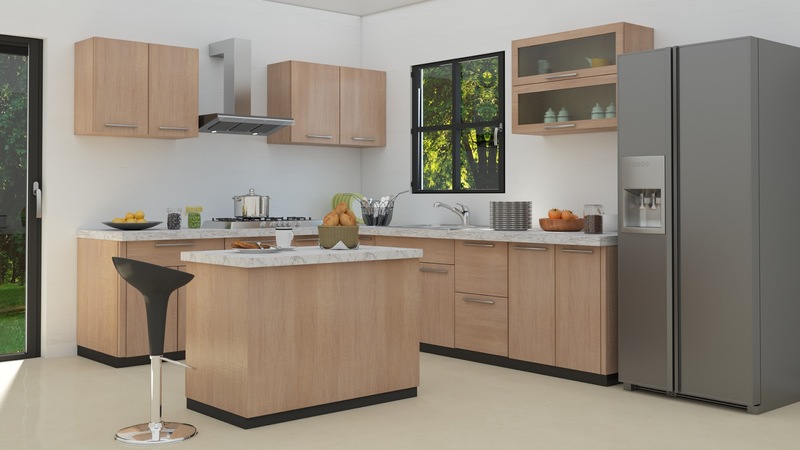 However, if you have enough room to spare, then the L-shaped kitchen can often be the one where you will never have trouble finding counter space. Some people often prefer to opt for tall cabinets to cut on the unused counter space or hutch style cabinets to have both the counter space and storage space. Thanks for sharing this blog;I have got lot of information about Office interior decorators in Bangalore u said lot of things about Office interior decorators in Bangalore. Wonderful ideas. Thanks for sharing such a useful post.